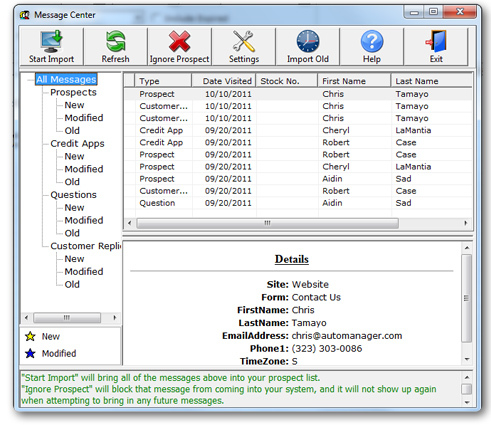 In the Message Center, you can import information from your WebManager website into DeskManager. 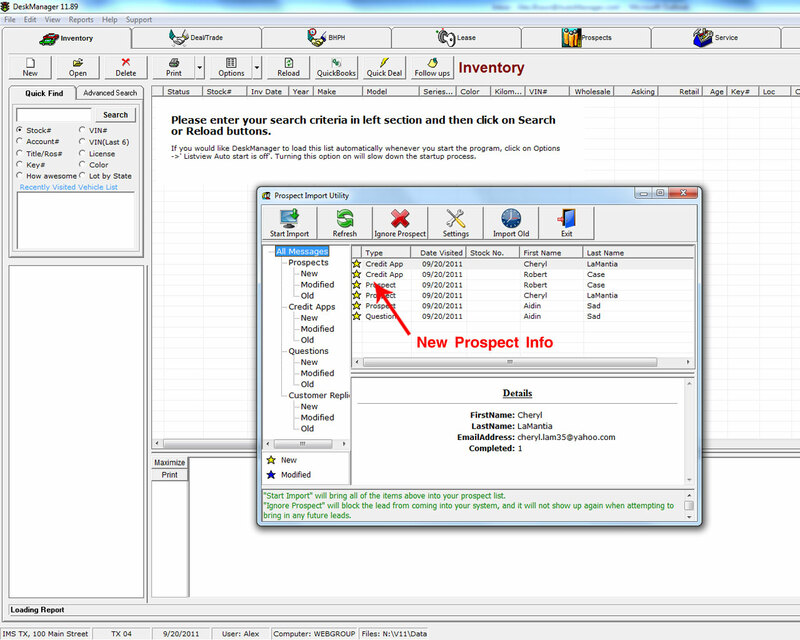 Now, when a customer asks a question or fills out a credit application on any of your WebManager websites, their information gets saved to a new Prospect file* so you can start making the sale. Note that this requires you to have a credit application or question form on your dealership website, which must have been set up through your WebManager account. Stay organized from lead to sale. 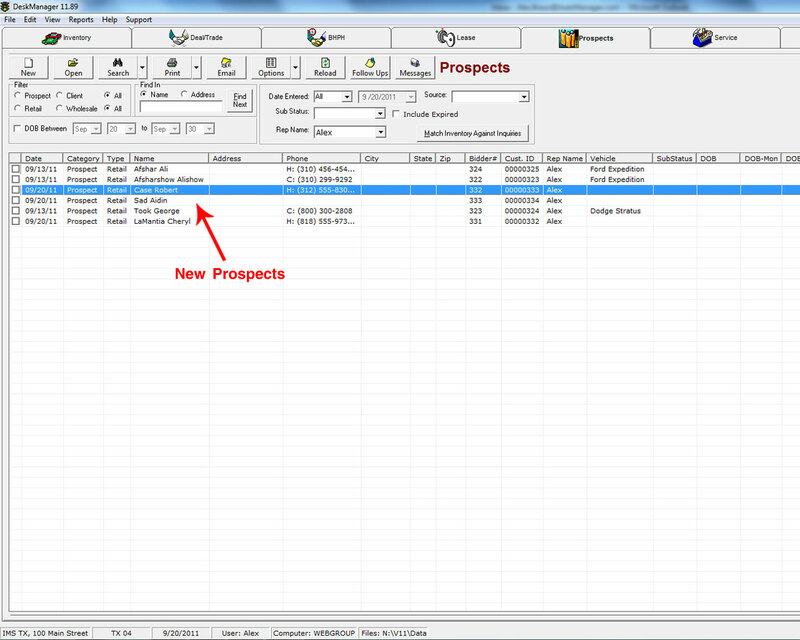 When a customer contact file is created in Prospects, it can be the beginning of a great relationship. 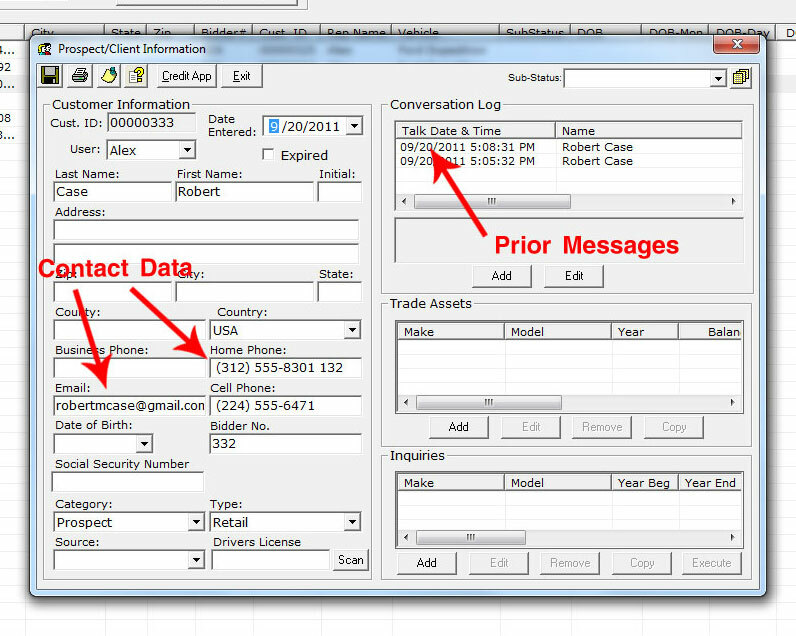 Almost any new piece of information the system collects on the contact – including email correspondence, dealer notes, vehicle paperwork and payment history – can be brought up as soon as you search their name. When Customer A fills out a credit application on your WebManager website, the information she provided gets copied to her DeskManager contact file. When she sends you an email, it gets saved to a Conversation Log in her contact file. Without lifting a finger, you’ll have a near-total picture of what your prospect has looked for, what you’ve discussed and how to reach her.